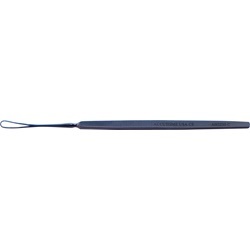 Straight shaft, curved tip, long tear-drop-shaped loop, serrated 4mm x 14mm loop. Flat handle. Overall length: 136mm.